There may not be life on Mars but it’s just been confirmed that there is water – a whole underground lake of it around 12 miles across. But it’s probably not the answer to Britain’s current drought, which has already resulted in United Utilities slapping a hosepipe ban on around seven million of their consumers in the north-west. One solution which might alleviate water shortage in the long run would be water companies plugging the leaks in their systems. The aforementioned United Utilities loses over 18 million litres of water an hour through the holes in their pipes. And of course other equally inefficient water companies are available. 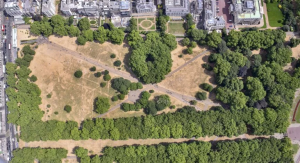 For some people the prohibition on watering their lawns is the least of their worries. Across the world at least a billion people lack access to safe drinking water, and double that figure have no adequate sanitation while here in the west most of us just have to turn on a tap to get unlimited clean, safe drinking water. there’s water shipped from Alpine springs, or melted icebergs, or aquifers in remote Pacific islands, and you can find a vast range of “enhanced” waters, with proprietary electrolyte blends or mystical pH balances that make them exactly like water, but better. In the end, though, the stuff that comes in bottles is essentially the same stuff that comes much more cheaply out of a tap. And once you’ve finished the contents what do you do with the container? More than a million plastic bottles are bought around the world every minute and less than half of these are recycled. Vast numbers of them end up polluting the world’s oceans, killing sea-life and helping to swell that vast floating plastic island in the Pacific that’s already three times the size of France. And it takes seven litres of water to make to make a one-litre plastic bottle. 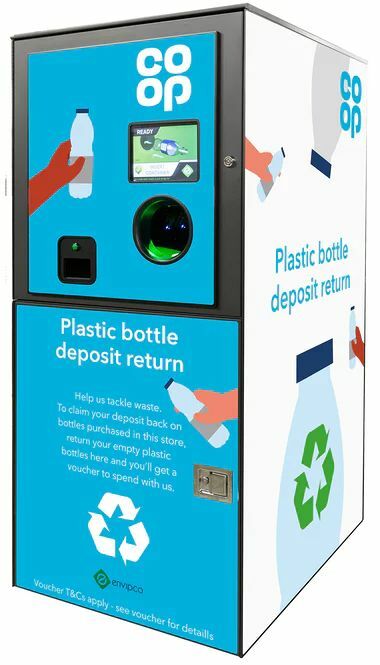 There are apparently plans to launch a mandatory deposit system for bottles and cans in the UK, though with a government trapped in the Brexit headlights there seems no sign of that happening soon. 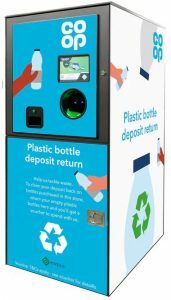 Stlll, the good ol’ Co-op has launched its own scheme, installing reverse vending machines (right) at various music festivals, including the forthcoming Reading and Leeds events. Stick your empty bottle in the slot and you’ll get a voucher to spend.